With each passing day, not only do we pipeline engineers continue to age, but so do the assets that we are responsible for. The passage of time inevitably takes its toll on us, but, as pipeline engineers, we cannot ignore the impact that aging has on the integrity of our assets. The challenge for us is clear, to safely manage our energy infrastructures into the future. 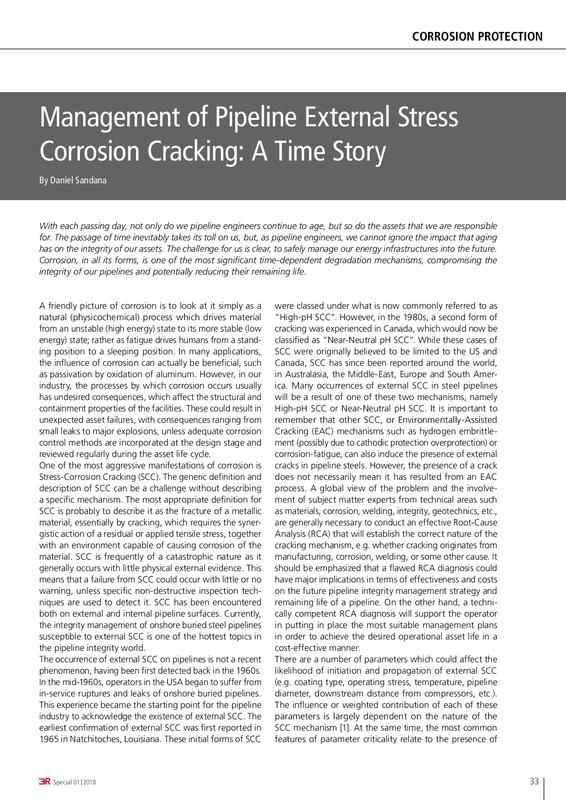 Corrosion, in all its forms, is one of the most significant time-dependent degradation mechanisms, compromising the integrity of our pipelines and potentially reducing their remaining life.